A major hurdle towards implementing the Digital India mission is the digital divide in the country. By Pradipto Chakrabarty – While the Digital India initiative is great on paper, its execution has been far behind schedule. Even though mobile penetration in India is high, Internet connectivity is one of the lowest in the world. Without connectivity, the effectiveness of digital services is hugely compromised. Lack of language and digital literacy in using technology to access and use information is another problem. Although inexpensive smartphones are available, most people — especially in rural and semi-rural areas — have no idea how to use them. 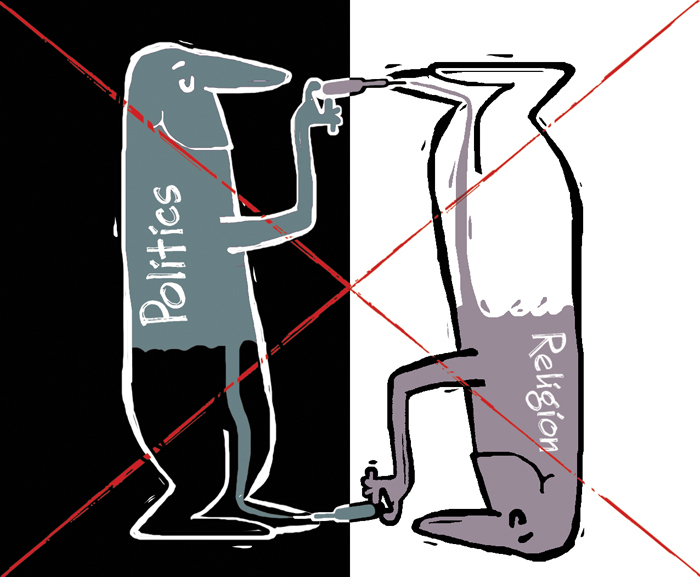 By Bhanu Dhamija – India’s ambitious experiment with freedom of religion has failed. Our insipid brand of secularism, based on states’ active engagement amid stated religious neutrality, has led to the appeasement of a few, but empowers none and brings injustice for all. Instead of uniting our society, it has fomented fragmentation and alienation among our diverse religious communities. The Hindu majority has now risen against years of over-accommodation of the Muslim minority. This puts the country at risk of losing its tolerant and pluralistic democracy. India today desperately needs a new definition of secularism, one based on freedom of religion, equality before law, and separation of religion and state. All of these requirements are essential for secularism to work in any country. Indian secularism fails because it allows governments to grant religious freedoms, but not to treat religions equally. The biggest failure in this regard began in the early years of the republic, when the government codified Hindu social customs into law but allowed Muslims to continue practicing Sharia law. For seven decades, the requirement of a uniform civil code has remained a Directive Principle in India’s Constitution. Without constitutional restrictions on state sponsorship of religious activities, Indian secularism turned into a carte blanche for governments to do as they pleased. They began exploiting religious communities with special treatment, sops and populist slogans. 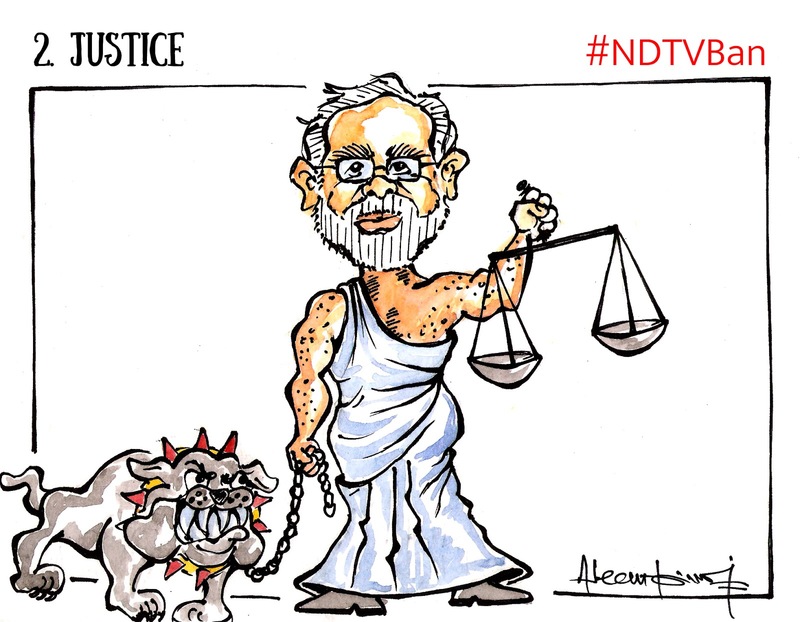 Today, the Modi wave among the Hindu majority has shattered the Nehruvian concept of secularism. And for good reasons; Nehru’s approach was impractical in its denial of all communal identities, and it was open to abuse by governments. By Eben Moglen and Mishi Choudhary – Arguments before a nine-judge constitutional bench of the Supreme Court, which is at long last deciding whether Indian citizens have a fundamental right to privacy, have established two realities clearly. First, the judges see the profound importance of any decision to create such a fundamental right. Second, they would like to know just what the outlines of this right should be. But in our age, the age of the internet, the right to be left alone includes also the right not to be put out there, or exposed involuntarily. Forced disclosure of the information that comprises our identities, in the age of biometric identification, social profiles, and cashless economic transactions, damages an essential component of all personal liberties. Whether the individual’s information is used on its own, or is analyzed, profiled, or linked in the “social graph” to that of other related persons, forced disclosure of personal information in today’s society creates power in the state which receives that information. The importance of a fundamental right in our system is that it can only be enforced against the state. “Platform” social media companies receive voluntary disclosures of personal information in immense quantities every minute, but they are not subject to constitutional controls. Moreover, though these corporates are indeed ubiquitous in our lives, they are not obligatory. In dealing with them, we still have choices. Only the power of the state can, in fact, compel us to expose ourselves more fully than we choose to do. The state can as well, of course, legislate to protect our privacy against private parties, and should do so.